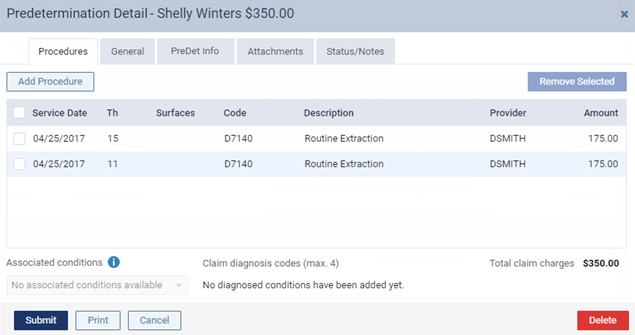 You can view procedures, change billing and rendering provider information, change claim information, and update the status for a pre-authorization. 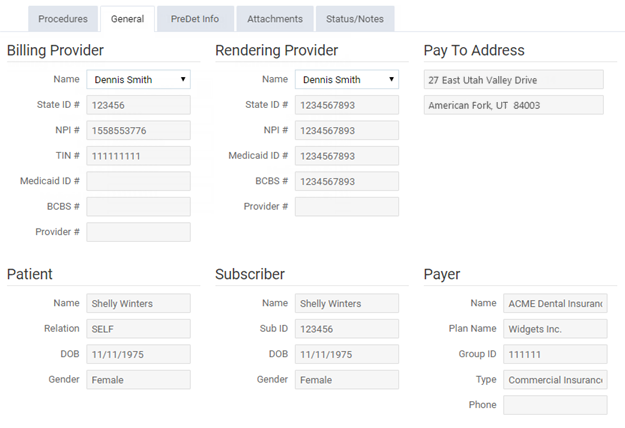 Click (or tap) Pre-Authorizations to view a list of existing pre-authorizations. Then, click (or tap) the pre-authorization that you want to edit. 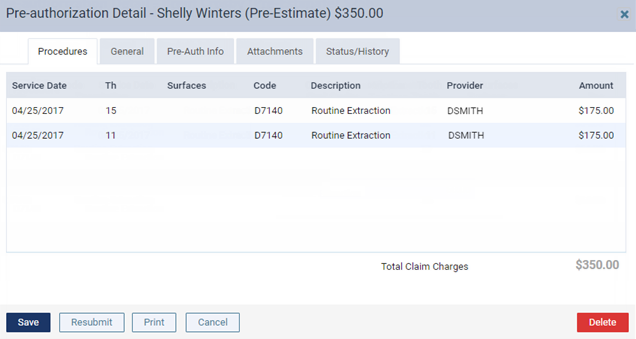 The Pre-Auth Info tab displays the name of the Referring Provider, the pre-authorization Reference Number, Orthodontia information (months remaining; and total months, the default value of which is calculated automatically, based on the placement date and remaining months specified, if the pre-authorization was created for orthodontic treatment), the Place of Service for the associated treatment, Accident Information (type, date, and state), and Remarks For Unusual Services (notes for the insurance carrier for this pre-authorization only). 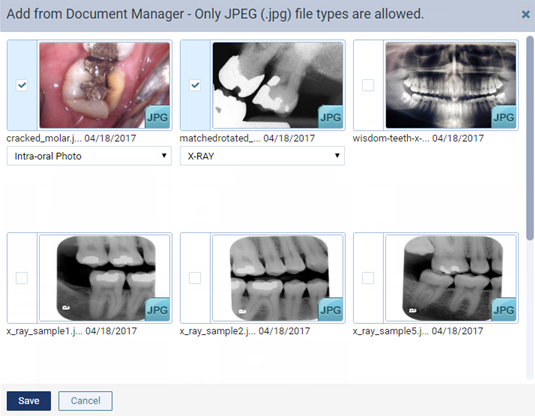 Only .jpg/.jpeg files from a patient's document manager are valid for images that you want to attach to pre-authorizations. 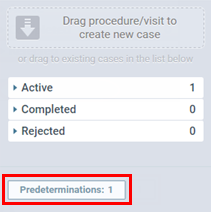 You can attach only one perio exam to any given pre-authorization. You can have up to a total of 10 attachments per pre-authorization. 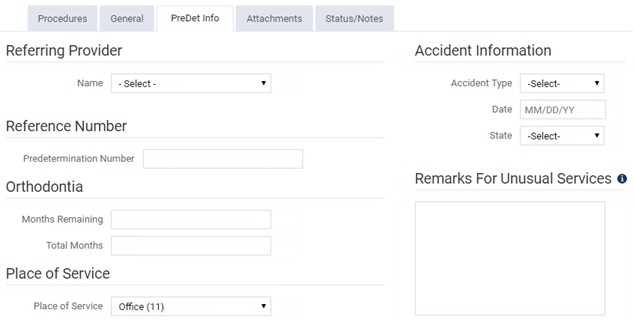 The Status/History tab, displays the created and sent (if applicable) dates of the pre-authorization and statuses. You can type a message in the Note field and then click (or tap) Add Note to add a custom status update. Click (or tap) Submit to save the changes and submit the pre-authorization. Click (or tap) Resubmit to save the changes and resubmit the pre-authorization. Click (or tap) Print and then OK on the message that appears to create the pre-authorization as a PDF file that you can print.